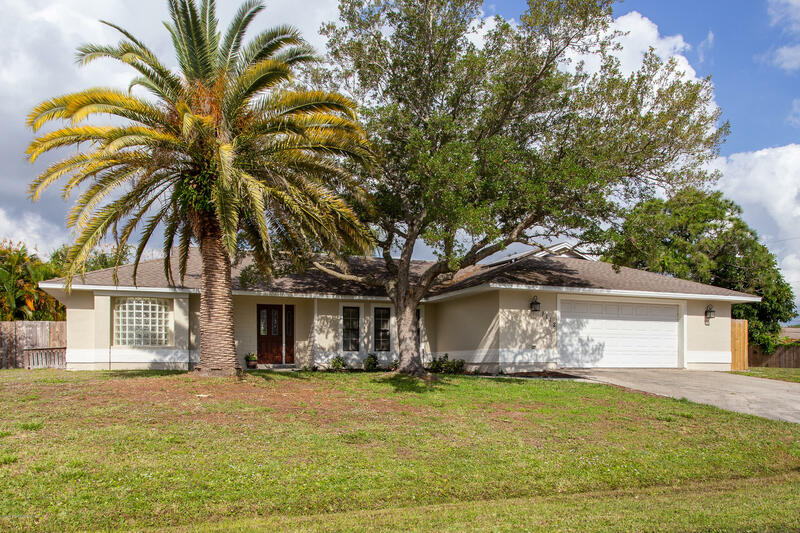 Come see this move in ready pool house off Port Malabar in Palm Bay! Situated high above street level, this home has it all. Skylights flood the home with bright natural light. Vaulted ceilings, tile throughout, and open living spaces make the home feel even bigger than it's 2000+ square feet.French doors open from the living room onto the patio and pool deck while sliders open in to the family room with it's long counter height bar to the kitchen. Speaking of the kitchen, you'll never run out of counter space in this chef's dream! Granite counter tops, subway tile back splash, custom island, 4 seater bar and new appliances. All bedrooms are generously sized, and closets are huge, with the master boasting a walk-in. Come see this home today, you won't be disappointed!